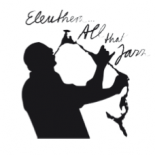 We are excited to share with you the dates for ELEUTHERA ALL THAT JAZZ 2019! How do we secure tickets, and how do we see the line up? We will be in the 10th and would like to catch at least one day. This entry was posted on November 20, 2018 by eleutheraallthatjazz in Uncategorized.